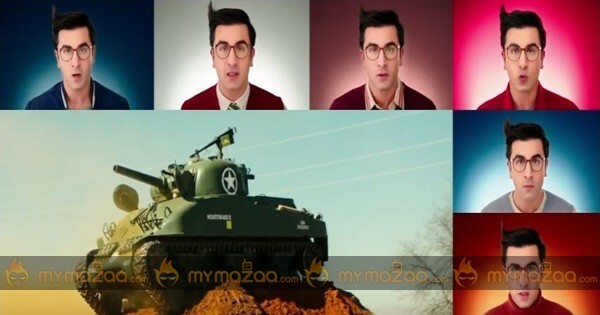 The trailer of Ranbir Kapoor's Jagga Jasoos is out, which is highly impressive. Ranbir plays a detective in this film, who goes in search of his father. He meets Katrina during this travel, who joins him in this mission. The trailer is creatively cut, with sounds playing a significant role throughout. The background music by Pritam is unique and enjoyable, with ample sound effects supporting it. Ravi Varman's visuals give an international Disney film feel, and co-incidentally, the film is released by Walt Disney Studios. Ranbir's antics are quirky and funny, which are sure to go well with the audience. His expressions emote a lot, without speaking many dialogues. The last train portion in the trailer is something to watch out for. It looks like a live action drama mixed with some decent animation. The much talked about Ranbir - Katrina's Ostrich ride is also shown in the trailer. This Anurag Basu directorial is all set to hit the screens on April 7th, 2017.